Location, charm, perfect for our little group of four. Chris and Treasure by the Sea made us feel welcome and that any of our needs were met. 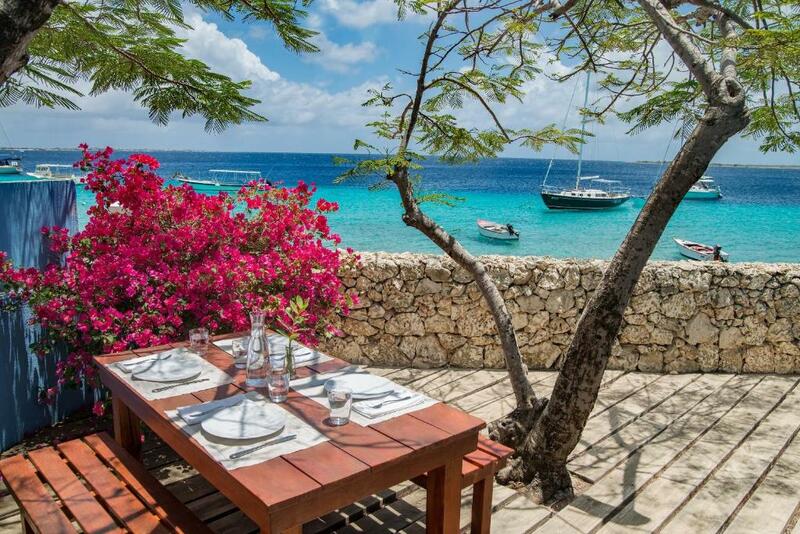 Perfect for diving and snorkeling right outside the front door. Dive shop half block from house. House location was perfect to walk down town for coffee or dinner and to drive quickly to Buddy Dive for tanks. We loved having the water only yards away to be able to swim, snorkel or dive any time we wanted. Met the actual owners who were so sweet and informative even though they were on vacation too. The manager accommodated our travel schedule, allowing us to check in early and to store our gear in a locker until our flight departed. Location was excellent- only a one way small road separated the garden area from the sea. Great for watching the sunset. 20min stroll to town. Lots of restaurants near by. One of the best dive sites (Something Special) nearly accross the road. Suits 2 people. Location meant Easy walk to center of town and all restaurants. Nice gardens to relax in. 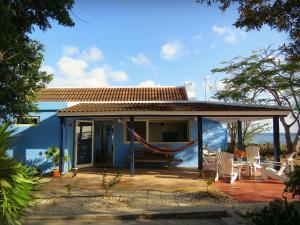 Lock in a great price for Casa Topana – rated 8.7 by recent guests! 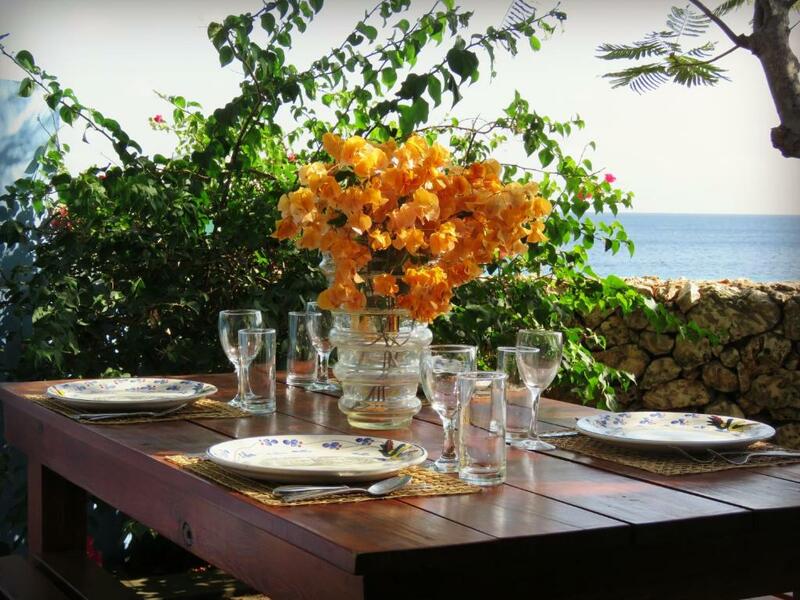 Offering a garden, Casa Topana offer oceanfront accommodations in Kralendijk. The property is air conditioned and features a seating area. There is also a dining area and a kitchen equipped with a toaster. A refrigerator and stovetop are also offered, as well as a coffee machine. Bed linen is featured. Casa Topana also include a barbecue. 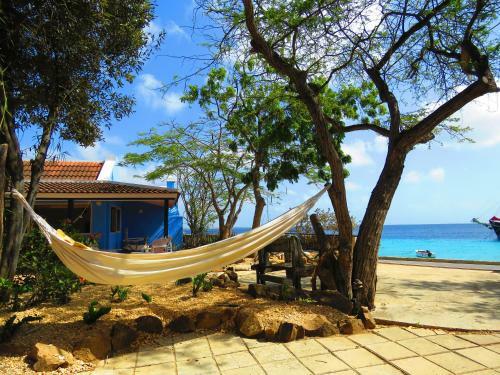 Bike hire is available at the property and the area is popular for snorkeling. Flamingo Airport is 1.9 mi away. 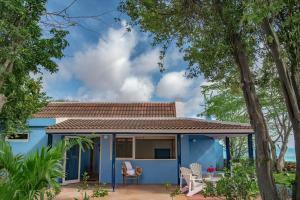 When would you like to stay at Casa Topana? 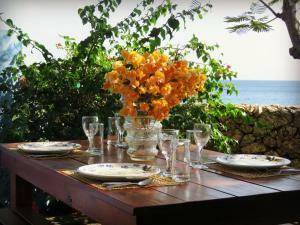 This oceanfront holiday home has a tea/coffee maker, sea view and private entrance. 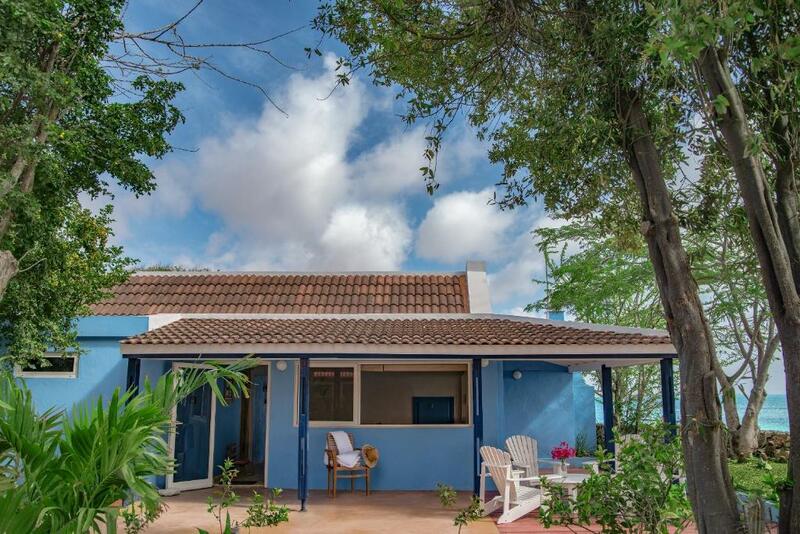 Casa Topana is a lovely oceanfront authentic Bonairean home & Casa Macabi is a charming oceanfront beach cottage. Great ocean view and just a short walk to town. You can swim, snorkel and dive right in front of the house. Bini! Welcome! We love shore diving & snorkeling and exploring the island. 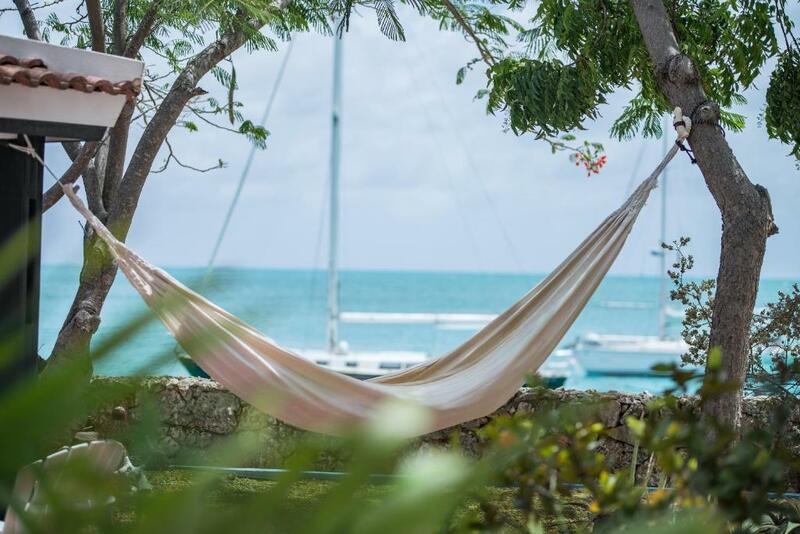 In the morning, make a cup of tea or coffee and enjoy the view of the ocean while the breeze is blowing in your hair and just enjoy the peace of the moment. Dive Friends Yellow Submarine is located 4 houses down. Casa Topana & Casa Macabi are located between 2 wonderful dive sites- Yellow Sub & Something Special. Bistro de Paris Zazu Bar is the closest restaurant & bar which has Thai food on Monday, Jazz music on Tuesday, Divemasters night serving burger on Wednesday & Yhanni's arepas on Friday nights. They also serve fresh lionfish & lobsters when they are in season. House Rules Casa Topana takes special requests – add in the next step! Debit card Casa Topana accepts these cards and reserves the right to temporarily hold an amount prior to arrival. Casa Topana accepts these cards and reserves the right to temporarily hold an amount prior to arrival. A nonrefundable deposit prepayment of $50 USD is required for all reservations. Please inform Casa Topana of your expected arrival time in advance. You can use the Special Requests box when booking, or contact the property directly using the contact details in your confirmation. Please note that check-in and key collection take place at: Treasure By The Sea, Kaya Gob. 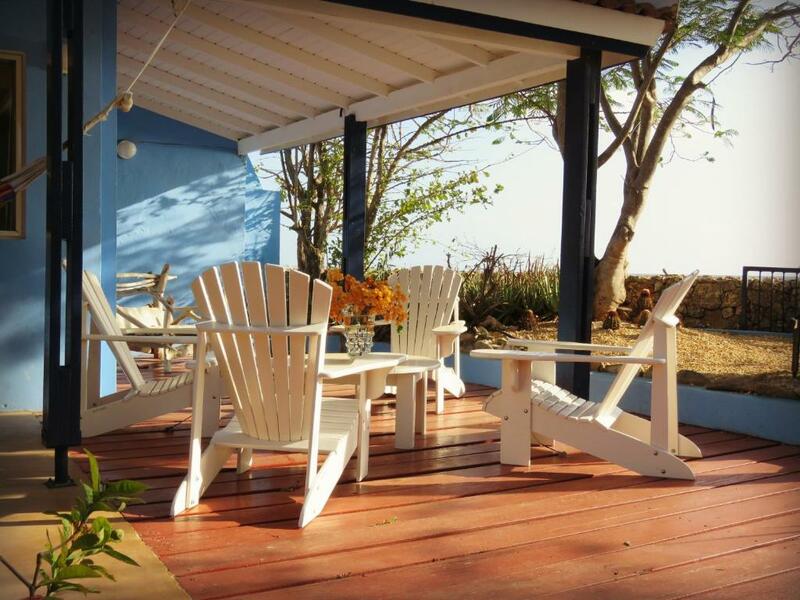 N. Debrot 7ABC, Kralendijk, info@treasurebytheseabonaire.com +599 717.0442 Office. I loved it, however, it isn’t for everyone. It’s more rustic, has one bath, and to get to the 2nd bedroom you have to go through the first. This wasn’t a problem for us as we are really close friends. If privacy is a major issue then reconsider. Air conditioning is only in the bedrooms and as I said it is rustic. No glitz or glam here but good solid little house. The only thing I hadn't expected based on photos was the proximity of the road. On occasion it was a bit noisy in the evening but the fan and A/C drown out the noise.